I must admit that I am a Noodle Guy. I love noodles for a long time. The first dish that I cooked on my own was instant noodles way back when I was still in elementary school. Ever since then I enjoy eating noodles in all shapes and sizes. 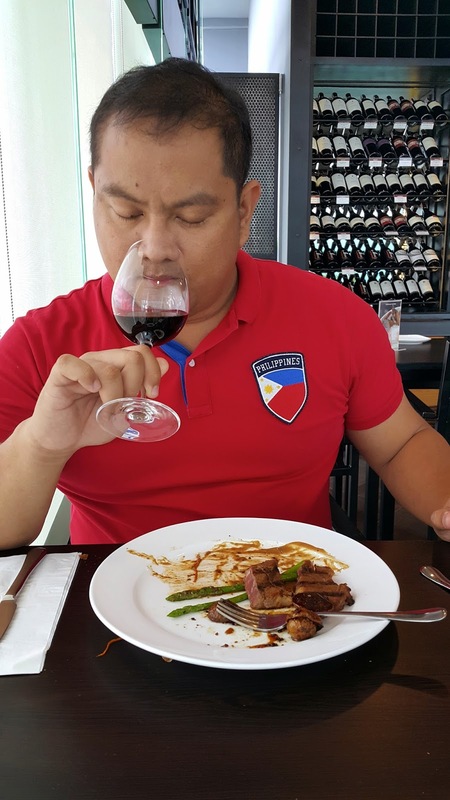 Pasta, pancit canton, palabok, batchoy, and bam-i are among my favorite dishes of all time. Now that I am grown-up, I love eating some delicious ramen during special occasions. 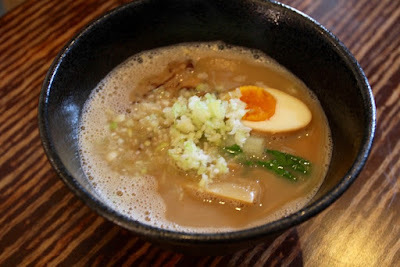 I recently got to try the ramen at Tongara Ramen during the restaurant's media lunch and it was love at first taste. 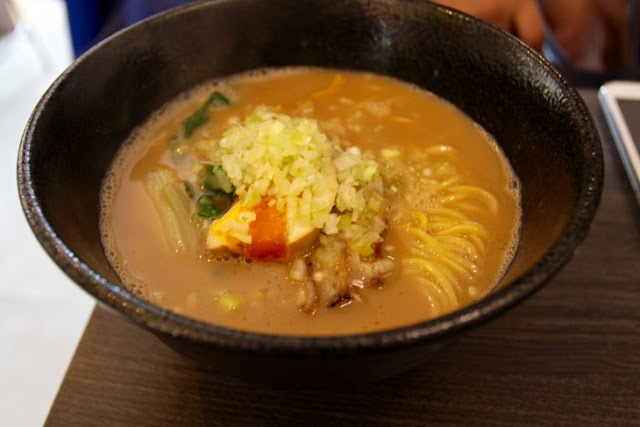 For me, a great ramen must have a flavorful broth, delicious finely-cooked noodles, and excellent toppings. Tongara Ramen was spot on in all aspects. I tried 3 of their variants and each one is a winner. I want to go back there soon to taste the other five ramen variants. Tongara is a combination of Japanese words Tonkotsu which means pork bone broth and Torigara which mean chicken bone broth. Tongara Ramen is a Japanese noodle soup using a broth made of pork and chicken bones. The unique soup combination is a masterpiece of Japanese Makoto Okazaki who owns Men Ten Ten in Shinjuku, Tokyo. 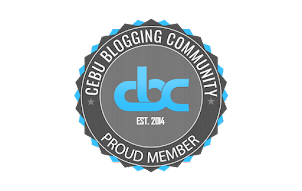 Chef Makoto is bringing his delicious ramen to Cebu with the help of Barney and Aubrey Borja of Dong Juan fame. The newly opened ramen place is located at Escario Central. Tongara Ramen aims to give Cebuanos that authentic ramen experience that the Borja family experienced while vacationing in Japan. I was fortunate to have a taste of 3 of the 8 noodle variants available. 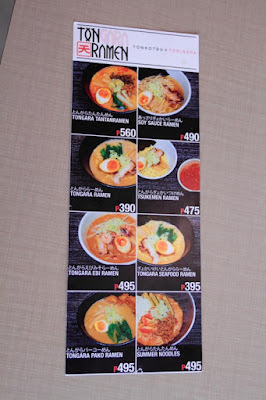 I tried the signature Tongara Ramen, the Soy Sauce Ramen, and the spicy Tongara Tantanramen. I have tasted lots of ramen in my life and the thing that stand out with the Tongara Ramen is the broth. Do you ever have a favorite soup place? Well, Tongara Ramen's soup is probably one of the best broths that I have ever tasted. It is full of flavor and you can really taste the essence of the pork and chicken. Just like how the local pochero or bulalo taste better the longer it stays in the pot, the Tongara soup is definitely a product of bones simmering for several hours. The broth is definitely a standout. 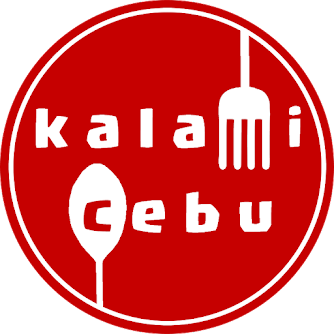 The serving is quite big and I am sure that Cebuano ramen lovers would definitely enjoy it. The noodles were cooked perfectly and the toppings like the tamago, bamboo shoots, meat, and greens all make it become one of best ramen ever. 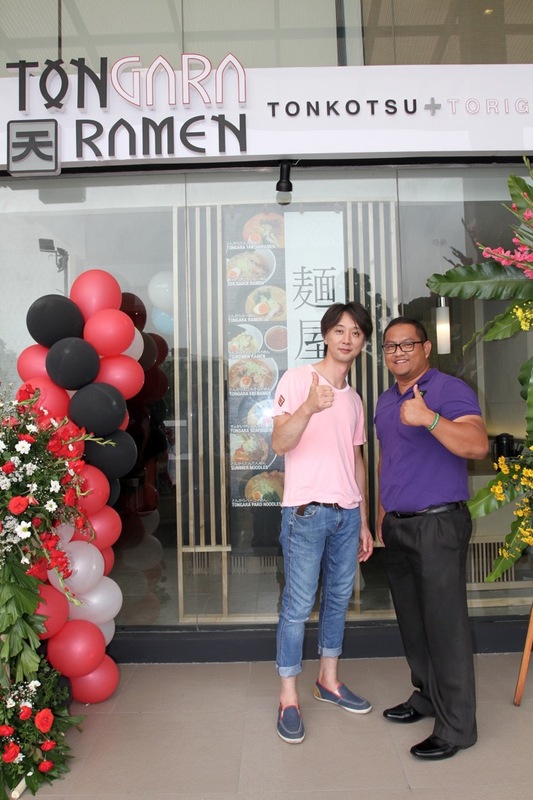 Makoto, John, and Aubrey are really giving Cebuanos an opportunity to taste ramen as if you are embarking on a ramen adventure in the streets of Tokyo. The Tongara Ramen is priced at 390 pesos. It is not cheap, but I would not mind paying more for such blissful treat. The Soy Ramen at Tongara Ramen has basically the same ingredients as their signature ramen save for the soup. 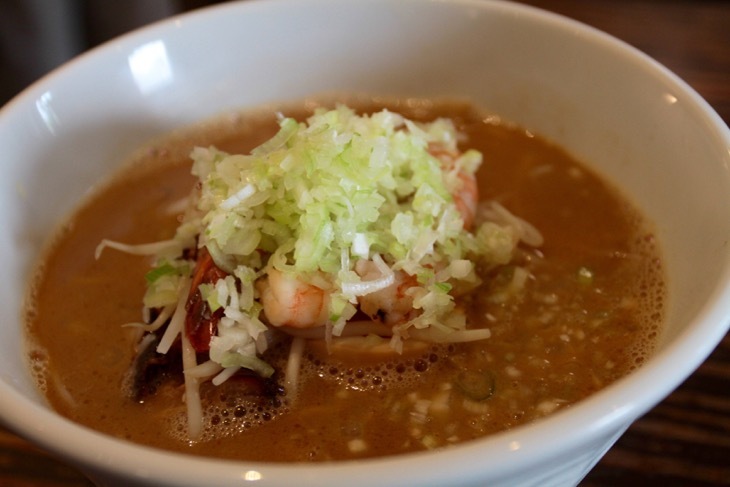 This ramen uses a soy and seafood base making it saltier than the Tongara soup. To give all the ramen creations that real Japanese feel, the owners make sure that they import from Japan the ingredients needed to season the soups and side dishes. Tongara Tantanmen Ramen - another must-try! Tantanmen is actually a Chinese noodle dish that is very popular in Japan. 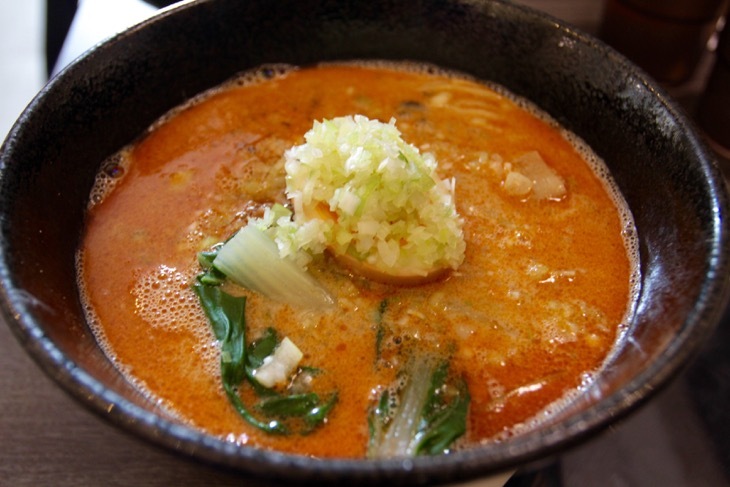 The tantanmen is a spicy noodle soup that uses chili paste and sesame oil. 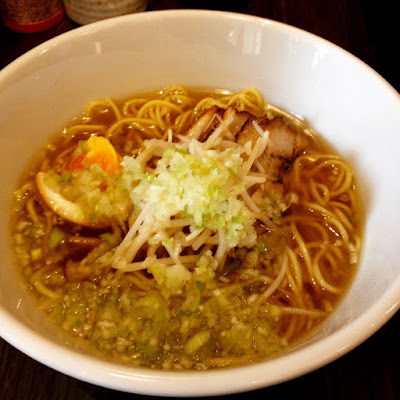 Tongara Ramen's version packs with explosive flavors that made me sweat in a cold afternoon. It was really spicy, but nevertheless, a joy to eat. I had a bowl and I was able to finish it all. Just like the other noodles it has chashu (braised pork belly), tamago (egg), menma (bamboo shoots) and greens. It has been an instant favorite for me and if you love spicy dishes then this ramen is recommended for you. My Korean bike instructor Kate Kim who is a professed ramen lover went to Tongara Ramen after seeing my pictures in Facebook and she raved about the Tantanmen. 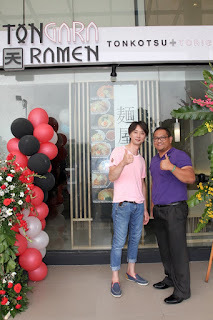 All in all, I had an awesome time at Tongara Ramen and it is now my go-to place for ramen in Cebu. I am very happy that there is an outstanding ramen place that opened in that side of the city. I definitely try the other variants in my next visit. I am quite curious how the summer noodles would taste like.